If you're a winner from above, get in touch by email (info@climbingworks.com) and we'll arrange for you to claim your prize. We'll be doing the prize draw after every round so just remember to hand in your score card at the end of the night. The next round will be on Friday 16th December. You can view the scores from round 1 here and see a selection of photos on our Picasa page. 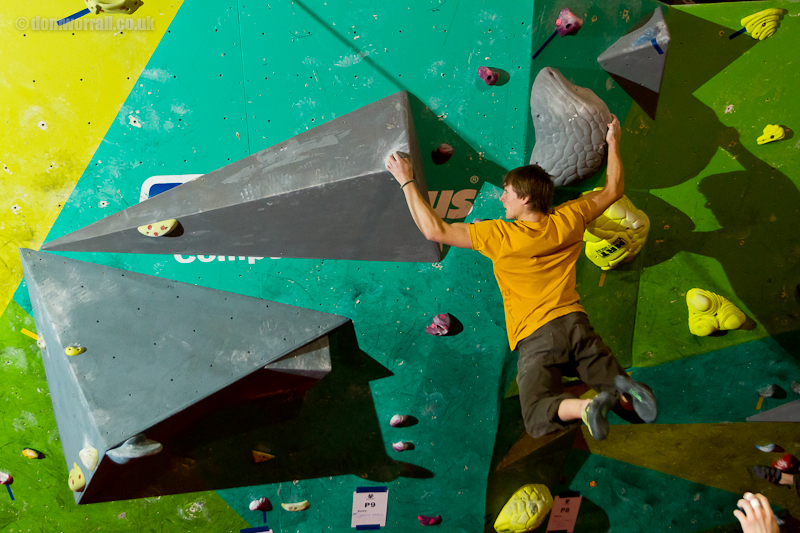 Keeping on the theme of competitions, on Saturday 10th December, The Climbing Works will be hosting Round 2 of the Northern Indoor Bouldering League. You can read all about it here on our website. As it is Monday morning we're currently stripping a circuit, actually this week we're stripping 2 circuits to be exact. Down comes the Purple & Pink spots and the Green & Pink spots to be replace by 2 new circuits by the end of the week. Last week we set a 42 bloc Wasp circuit in the Font 6b-7a range that should keep most people entertained over the coming weeks. You can see an up to date circuit topo & Berghaus competition wall topo on our website here. Just in case you haven't heard we'll be celebrating our 5th birthday in style on Friday 9th December at Club Forward in Sheffield city centre. Tickets are FREE and available from reception now. It will be one massive night. Come and help us in celebrating 5 years of The Climbing Works.